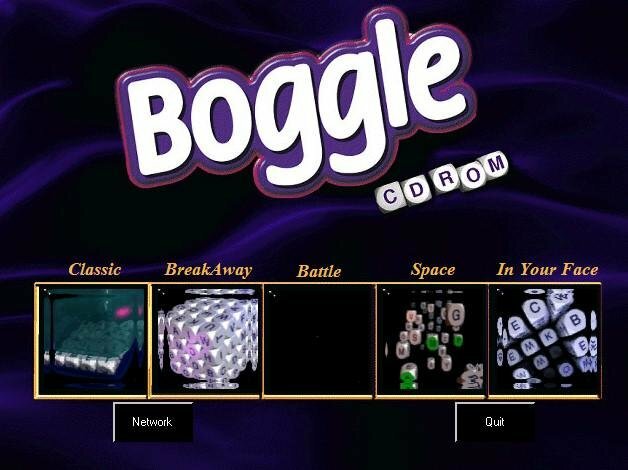 What is Boggle? Based on a real world board game, it presents you with a set of dice with letters on their faces instead of pips; you place the dice into a tray-container combination, shake it up, and then, when the dice have settled into slots on the 4×4 grid in the tray, whip off the cover and try to find as many three- (or more) letter words as you can before a timer runs out. 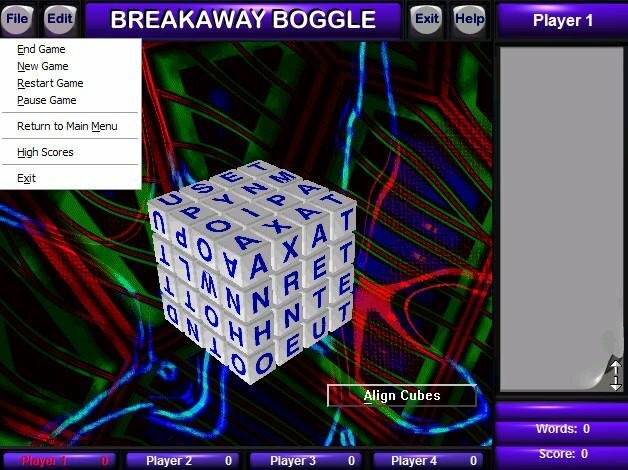 A combination of a word game and a puzzle game (think of those old word-search games you did in school, except that here you can cross back across your path as you build your word). 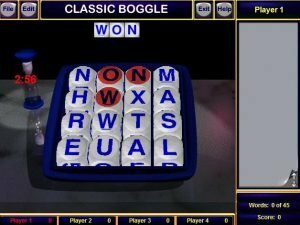 The first of the five variants in the computer game, Classic Boggle faithfully recreates the original game (with either the traditional 4×4 tray or the 5×5 tray of the “Master” version, which also requires that words be at least four letters long); this is also still the best game of the bunch. 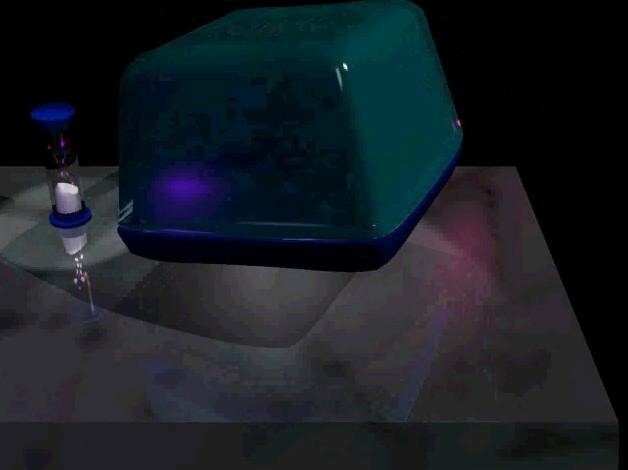 You can play alone or with up to three opponents (human or computer); if you play hotseat, you take turns, but against all AI opponents or against LAN, turns happen simultaneously. 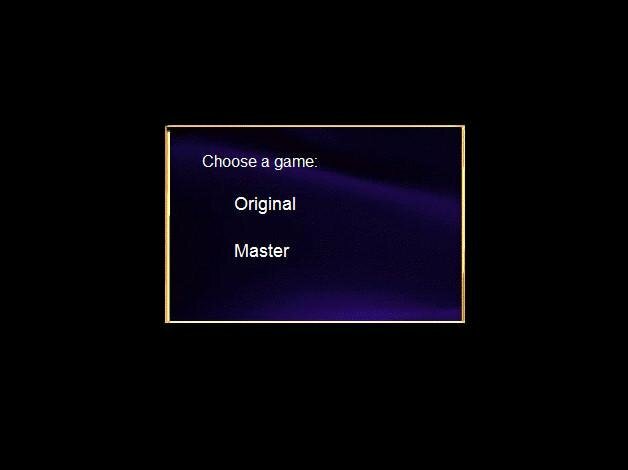 The computer opponents range from “Beginner” to “Mr. 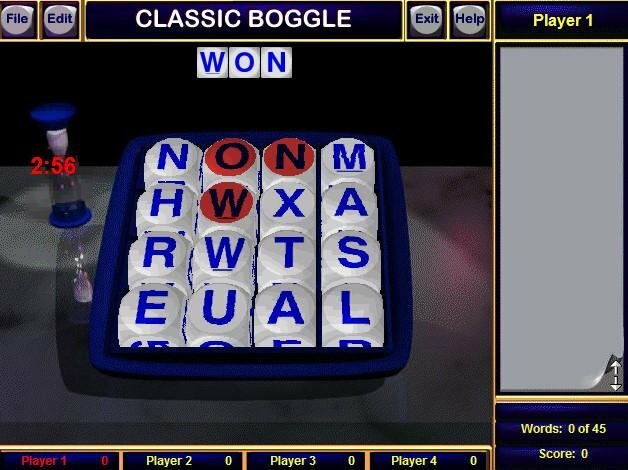 Boggle”. 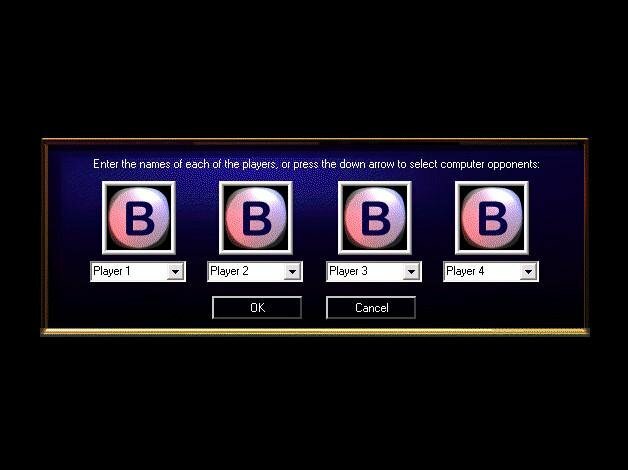 One minor gripe is that these AI opponents still can’t be renamed, but this isn’t the problem it was with Yahtzee. Plenty of options let you control the length of the clock, how words not in the dictionary are handled, etc. One irritating problems with the default dictionary setting (where a dialog box pops up to ask if you want to add an unknown word to the dictionary) is that it defaults to “yes” instead of no; it’s all too easy to, in the heat of battle, accidentally add a word with a typo to your dictionary. 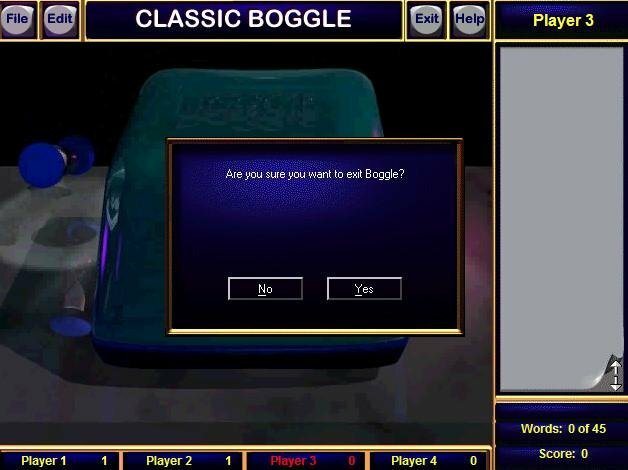 While you can use the mouse to click on the dice, Classic Boggle (and three of the others) allow you to type the word combos out, something absolutely necessary for this game. While timed can be lots of fun, it’s just as enjoyable (especially alone) to turn the timer off and try to find as many of the words as you can before giving up in frustration (it’s amazing how many words can sometimes be created out of sixteen letters). Once a game ends you’re given a list of your found words, your opponents’ found words, and all the possible words for that set of letters (these word lists, unfortunately, can obscure the dice tray underneath, leaving you unable to see where you missed those trickier combinations). The dictionary in the game can come up with some very obscure words; luckily definitions are a click away, a much appreciated feature. 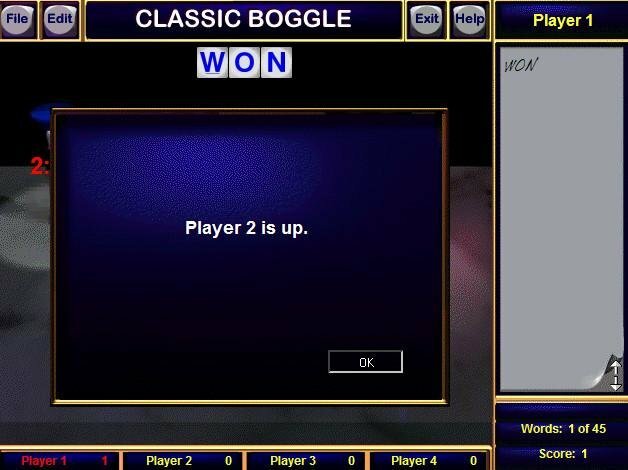 While much of this play can be done with a the physical game, the dictionary functions of the computer version really put even this one variant above the original game. 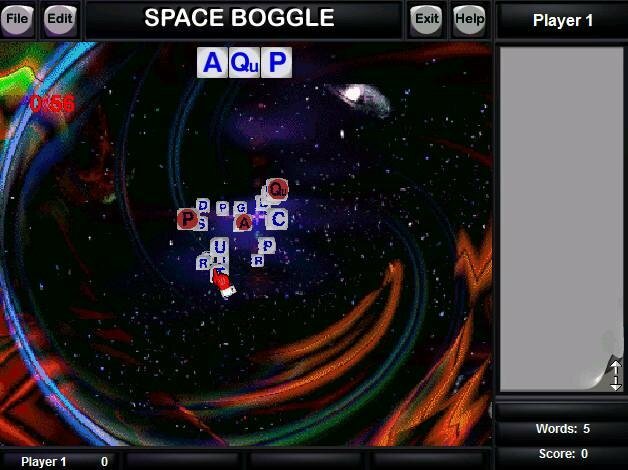 Boggle is obviously only for those who like these types of games – if you hate looking up things in a dictionary or despise frustrating puzzles, skip Boggle; if not, you’re in for a treat.